Get the worm and save! 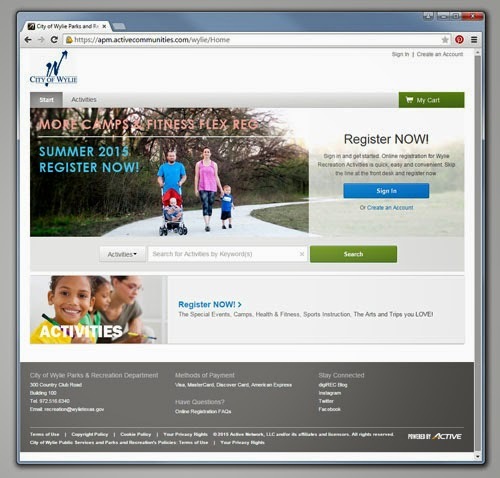 Rec Pass Holders get 30% off during Early Bird Online Registration, TODAY, Monday, April 27 through Sunday, May 3 on most SUMMER 2015 Wylie Recreation activities on the registration site. Register now and save on SUMMER CAMPS, THE ARTS, FITNESS, and much more! No Rec Pass? You are still eligible for a 15% discount during Early Bird Online Registration on most SUMMER 2015 activities. No Rec Pass needed! Standard in-person and online registration starts Monday, May 4, 9 am at Wylie Recreation Center and Senior Recreation Center. Standard Registration continues until activities are filled. A discount of 15% is applied to Rec Pass Holder activity registrations during Standard Registration on most SUMMER 2015 activities.